8.1 IP, 18 H, 14 R, 14 ER, 3 BB, 9 K, 6 HR. 15.12 ERA. In 6 postseason starts in the 2016 and 2017 ALDS, the Red Sox have gotten an average of 3.1 IP. Mookie makes the Dwight Evans Game 6 catch to steal a 3-run homer. Houston hit the ball 100 mph off Fister 3 times, Sox have done that 5 times this series. This marks the 2nd time in playoff history that a team has hit first-inning homers in each of the first 3 games. Also 2004 Astros vs STL. 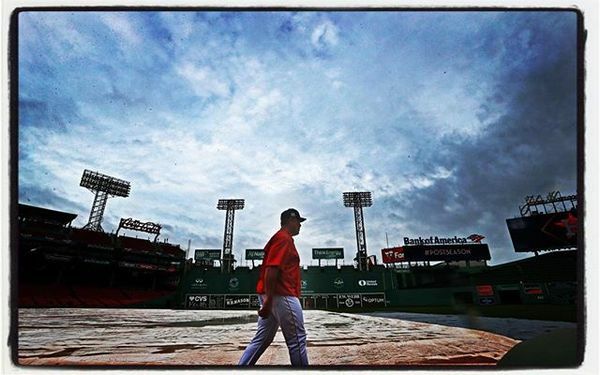 Joe Kelly replaces starting pitcher Doug Fister in the top of the second inning. That’s it for Fister. Boos as Farrell emerges from the dugout. Not sure how Fister remains in the game. But he does. The Astros have 3 runs in one inning. 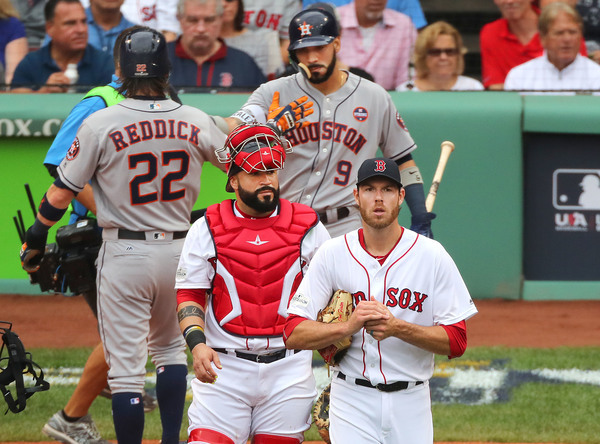 They have allowed 2.8 runs per game to the Red Sox in 6 games in the previous 10 days. Astros 7 x 16 with four HRs in the first inning of this series. 7 runs in all. Presumably, Sox attacked Correa instead of walking him due to Fister's extreme R/L splits. 3-0 as Correa homers to center. Crowd boos and that’s that. And that is 4 first-inning homers (and 7 total) this series for Houston vs none in 18 innings for the Sox. That didn’t take long. Single, wild pitch, single. Houston leads again in the first inning. Same song, different venue. The Sox trail, 1-0, without recording an out. They've given up more 1st-inning runs this series (5) than they've scored in 18 innings (4). 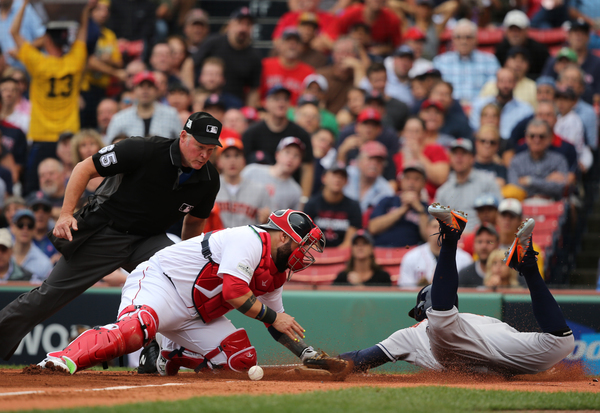 It's game on at Fenway Park, and George Springer singled to lead things off for the Astros. 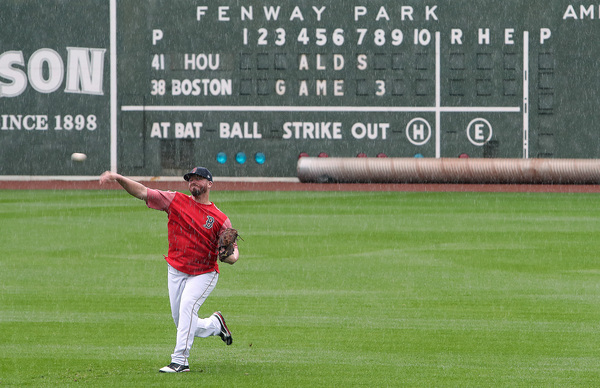 Brad Peacock tosses ball to his mom, Jaycne, as he prepares to warm up at Fenway Park. The great Americo Petrocelli threw out the first pitch. 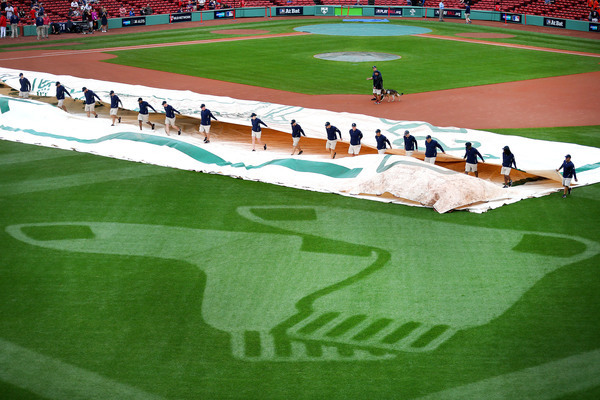 Impossible Dream vibes at Fenway. Still nine minutes before first pitch, but Fenway is no better than 50-60 percent full. Fister has a 2.00 ERA in 3 career postseason starts in elimination games. His teams have won all 3 of them. Hanley came out for intros with a “Believe In Boston” flag. The crowd approved. 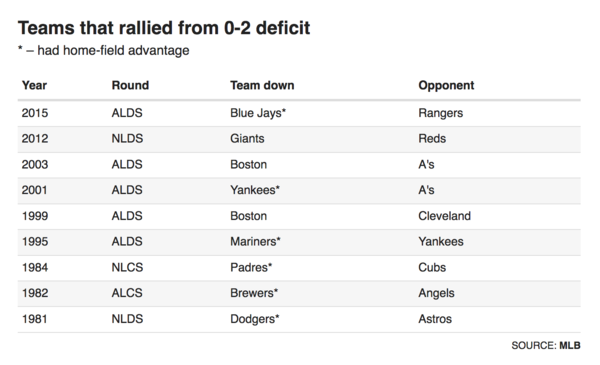 Nine teams out of 75 that have fallen behind 0-2 in a best-of-5 series have rallied to win. Farrell on if job is on the line: Focus is on the game. Questions from outside about job security don't change how he approaches games. Pregame notes: The Astros won the first two games, 8-2 and 8-2. The Sox have hit .227/.278/.288 in the series with no home runs. The Astros have hit .343/.418/.686 in the series with six home runs. … Doug Fister faced the Astros on Sept. 29 at Fenway and allowed three runs over 5.1 innings. Brad Peacock faced the Sox on Sept. 28 at Fenway and allowed two runs over five innings. This is Peacock’s first postseason start. … The Astros have won eight of nine and 16 of 19 overall. … The Red Sox have lost seven of nine overall. All the #RedSox pitchers are available today. Farrell hopes to have Porcello for Game 4 and Sale for Game 5. 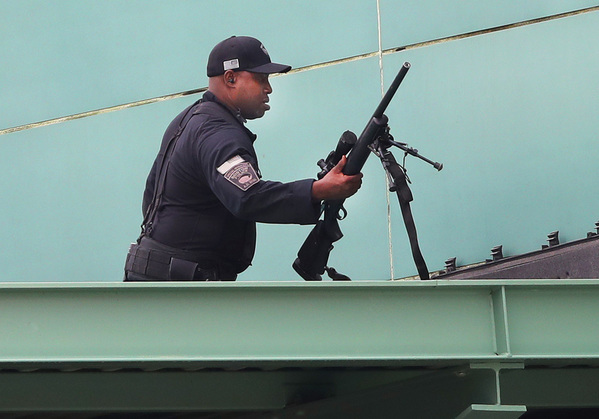 If you’re heading to Fenway today, be early. Lots of security.